1. WHO Commends India For Reducing Maternal Mortality Ratio By 77%. 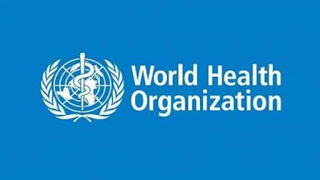 The WHO has commended India`s progress in reducing the maternal mortality ratio (MMR) by 77 percent, from 556 per 1,00,000 live births in 1990 to 130 per 1,00,000 live births in 2016. It said this progress puts the country on track towards achieving the Sustainable Development Goal (SDG) target of an MMR below 70 by 2030. India`s present MMR is below the Millennium Development Goal (MDG) target. 2. 44th G7 Summit Was Held In Canada. The 44th summit of the Group of Seven (G7) in La Malbaie in Quebec, Canada, will kick off on Friday, June 8, and continue till Saturday, June 9. The upcoming summit could be an utterly tense one in the 42-year history of the grouping, thanks to US President Donald Trump`s trade war with his countries` old allies. On this occasion, let`s look back at the history of G7 - what is it and why did it come into being? It was in 1975 when the heads of the state and government of the world`s six leading industrial states decided to hold a meeting in the wake of the oil shock of 1973 and the financial crisis that followed. These six countries - the US, France, (West) Germany, the United Kingdom, Japan and Italy - were later joined by Canada in 1976 and Russia in 1998. Russia later found itself absent after the remaining seven nations decided in March 2014 to meet without Moscow till further notice as retaliation against its annexation of Crimea that year. Also, the proportion of institutional deliveries in public facilities has almost tripled, from 18 percent in 2005 to 52 percent in 2016 (including private facilities, institutional deliveries now stand at 79 percent), she said. 3. Trump And Kim Sign Agreement On Denuclearization After Historic Talks. President Trump and North Korean leader Kim Jong Un signed a document that Mr. Trump described as "important" and "comprehensive," to conclude their meetings in Singapore. The document, which offers few details about how the aims will be accomplished, says North Korea commits to working towards denuclearization. Mr. Trump said he "absolutely" will invite Kim to the White House. Mr. Trump said he thinks the summit went "better than anybody could have expected." As they began the summit, Mr. Trump said he thinks he and Kim will have a "terrific relationship," and Kim, through a translator, said North Korea had to overcome a number of "obstacles" to get to this moment. Mr. Trump and Kim participated in a one-on-one meeting, with translators only, followed by an expanded meeting including their top advisers, and a working lunch. 4. World Day Against Child Labour: 12th June 2018.
oday, on World Day Against Child Labour, while we adults sit in our air-conditioned offices and crib about our paychecks, some 152 million children between the ages of five and 17 are being forced into labour under unspeakable conditions. There are more horrifying statistics where that comes from, with International Labour Organization (ILO). 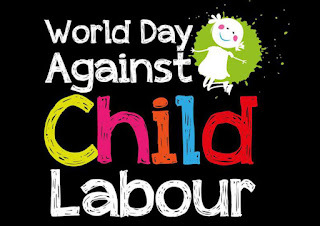 The ILO, which launched World Day Against Child Labour in 2002 to grab global attention to the terrifying figures of child labour, shared some of these figures in their World Day Against Child Labour program this year. i. Of the 152 million children involved in child labour worldwide, 73 million perform hazardous work. ii. Hazardous labour comprises of working in manual scavenging, construction, agriculture, mines, factories, as street hawkers, domestic help, etc. iii. Such labour, the ILO points out, "endangers the health, safety and moral development of children,". Not only that, it also takes away a normal childhood and proper education from the children. iv. Hazardous child labour affects 45 million boys and 28 million girls around the world. v. In recent years, the number of children between the ages of five and 11 involved in hazardous labour has increased to 19 million. 5. International Conference On ICT To Be Held In Kathmandu. The Federation of Computer Association of Nepal (CAN) is set to organize International Information and Communication Technology (ICT) Conference 2018 on June 17 and 18.The event is organized with the slogan of “sustainable development goals for smart society”. Although the former editions of the ICT conference were considered a part of CAN-InfoTech, this year’s edition has specially invited international experts and is set to be organized as a completely different event. The conference will be organized with participation of high level officials of the Government of Nepal, including Minister for Finance Yuba Raj Khatiwada. Experts of different fields from China, India, Malaysia, Singapore, Sri Lanka, Bangladesh and South Korea, along with representatives of the United Nations Development Program, will be presenting working papers in the event. The experts will present their views and discuss on various aspects of the society such as infrastructure, digital economy, and security. A concept paper on the establishment of ‘smartpalikas’ (smart local units) will also be released in the presence of representatives of local governments. The organizers have also aimed to hand over ICT-related plans to the government in order to support the smart city master plan of the government. The conference is supported by a number of government and international organizations. 6. President Kovind To Embark On 3-Nation Visit To Greece, Suriname And Cuba. President Ram Nath Kovind will embark on a seven-day, three-nation tour this weekend in his maiden visit to Europe and Latin America as the head of the state. The president will visit Greece, Suriname and Cuba. In the first-leg of the trip, Kovind will visit Greece from June 16-19. On June 18, the president will meet his Greek counterpart Prokopis Pavlopoulos. He will also meet Greek Prime Minister Alexis Tsipras and Greek’s Leader of Opposition. On the same day, Kovind will visit Phaleron Commonwealth War Cemetery. In the evening, the president will attend a banquet hosted by the Greek president. On June 19, Kovind will attend India-Greece CEO’s breakfast meeting. He will also give a talk on ‘India and Europe in the Changing World’ at a think tank in Athens. Kovind will be in Suriname, his second leg of the visit, between June 19 to 21. The president will hold discussions with his Surinamese counterpart Desire Delano Bouterse. This will also be Kovind’s first visit to any Latin American country after assuming office. Kovind will be in Cuba from June 21-22, where he will hold talks with newly elected Cuban President Miguel Diza-Canel Bermudez. This will be the first visit of an Indian president to Cuba since the 1959 Cuban revolution. The Indian president will also lay a wreath on the grave of Fidel Castro, former president of Cuba. 7. Mauritius To Host 11th World Hindi Conference. The upcoming 11th World Hindi Conference in Mauritius is likely to produce directives to increase the popularity of Hindi globally, a source familiar with the preparation for the event says. 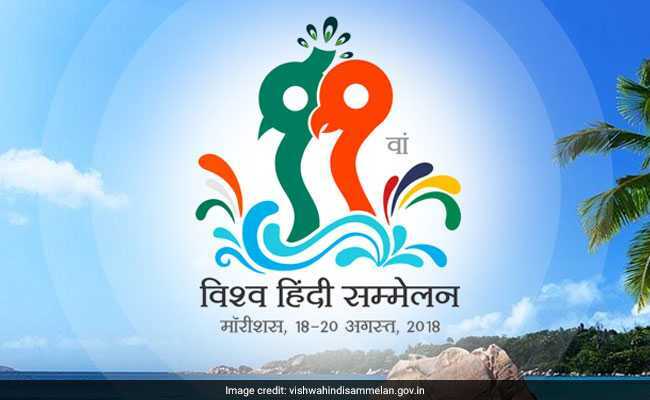 Work on the international meet from August 18 to 20 is under way in the External Affairs Ministry, even as some prominent Hindi literary figures expressed their disappointment at the way the event has shaped up over the years. “The conference will cover both classical and modern elements of Hindi, and we intend to get delegates and scholars of Hindi from all over the world. We hope to produce concrete guidelines for the promotion of Hindi as a language of globalisation and possibly at the United Nations,” said the official. The World Hindi Conference is a major event organised every three years by the External Affairs Ministry. Official preparations have been progressing ever since External Affairs Minister Sushma Swaraj announced in her annual press conference on May 31 that there would be “disclosures” to promote Hindi at the conference. “Hindi in the United Nations should be increased and a lot of work is being done by the Ministry of External Affairs and the disclosures would be made in the World Hindi Conference to be held next in Mauritius,” Ms. Swaraj had said. 8. KVIC Distributes 2330 Bee-Boxes In Kashmir, Creates World Record. KVIC has created a world record of distributing maximum number of bee-boxes in one day. This was achieved by the KVIC in the Zangalee Army area at Kupwara in Kashmir beating its previous best of 1000 bee boxes distributed in Kaziranga forest area among theMishing tribe on the occasion of World Honey Bee Day. Two thousand three hundred thirty(2330) bee-boxes were distributed among 233 beneficiaries in the Zangalee Army area. On this occasion, Jammu and Kashmir Deputy Chief Minister,Kavinder Gupta, said that the KVIC’s programmes could generate jobs in the valley. The KVIC Chairman,Vinai Kumar Saxena, said that the ‘Honey Mission’ is aimed to fulfil the call of Prime Minister, Narendra Modi, for a Sweet Kranti. The KVIC made an action plan named ‘Honey Mission’ – with a target to distribute 1.3 lakh bee-boxes before November 2018 across the country and so far 27,000 bee-boxes have already been distributed. The Chairman further added that KVIC is the nodal agency of Prime Minister Employment Generation Programme (PMEGP) under which loans will be provided for setting up units of processing, bottling, packaging and labelling units for the honey. The programme in Kupwara was held in association with the Indian Army under its Sadbhawna programmein order to establish peace and harmony in the valley.Major General C. B Ponappa, GOC Vajra Division Kupwara, in his address, said that such developmental programmes could play a pivotal role in establishing peace and harmony in Jammu and Kashmir. Indian Army helped in providing training and also provided 10 percent financefor setting up of theapiaries, thereby providing the beneficiaries a platform for earning livelihood. 9. Global Environment Performance Index 2018: India Ranks 177, Switzerland Tops. India is the fourth worst country in the world when it comes to handling environmental issues, according to the 2018 Environmental Performance Index (EPI) — the green rankings released on the sidelines of the World Economic Forum meet in Davos. Out of 180 countries, India ranked 177, only better in environmental performance than the Democratic Republic of Congo, Bangladesh and Burundi. This is especially worrying because two years ago, India`s rank was 141. The EPI report said that a low rank meant that a nation needed to step up its efforts in cleaning up air quality, protecting biodiversity and reducing greenhouse gas emissions. It also said that countries like India (with an air quality of 5.75), China and Pakistan faced a public health crisis. The fact that rapidly growing economies like China and India ranked low reflects the strain which economic growth has on the environment. That said, China is ranked 120 and ostensibly in much better shape than India. "India’s low scores are influenced by poor performance in the in Environmental Health policy objective. Deaths attributed to PM2.5 have risen over the past decade and are estimated at 1,640,113, annually (Institute for Health Metrics and Evaluation, 2017). Despite government action, pollution from solid fuels, coal and crop residue burning, and emissions from motor vehicles continue to severely degrade the air quality for millions of Indians," said the report. The top five countries in terms of green rankings are Switzerland, France, Denmark, Malta and Sweden. Switzerland stands out in the categories of climate and energy, and air pollution. Denmark, Malta and Sweden stand out for high scores in air quality within environmental health. Malta scores the highest in water and sanitation. Even though the United States was ranked 27th — definitely towards the better end of the list — it is important to note that the US was actually one of the worst countries among industrialised nations when it came to green rankings. Countries like the United Kingdom (6th), Germany (13th), Italy (16th), Japan (20th), Australia (21st) and Canada (25th). 10. 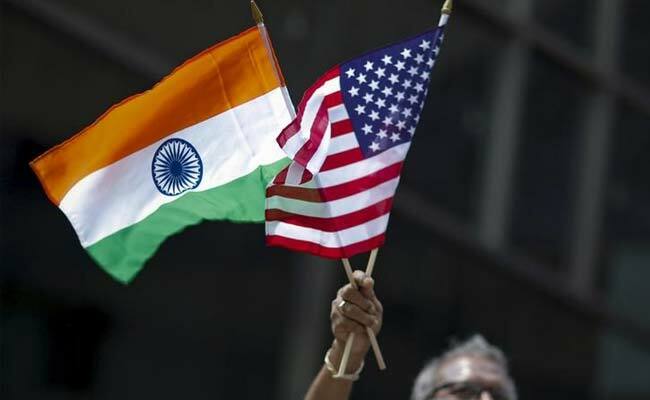 India, US Agree To Hold Comprehensive Talks To Address Trade & Economic Issues. India and the United States have agreed to hold official talks soon to address the trade and economic irritants between both nations, Commerce Minister Suresh Prabhu said on Tuesday. This decision was taken during a series of meetings Prabhu had with US Commerce Secretary Wilbur Ross and US Trade Representative (USTR) Robert Lighthizer in Washington during the Indian Minister`s visit from June 10 to 12. "We will now work together to expand bilateral trade," Prabhu told reporters in Washington. He said India would send an official team to work out the details and start comprehensive negotiations on all issues concerning the bilateral trade and economic relationship. "The team will come within the next few days," he said. In March, US President Donald Trump slapped import tariffs of 25 per cent on steel and 10 per cent on aluminium, unfolding the prospect of an all-out global trade war. China retaliated in April imposing tariffs as high as 25 per cent on 128 American products. India has sought an exemption from the US tariffs along the lines the US has allowed to the European Union, Argentina, Australia, Brazil, Canada, Mexico and South Korea. Prabhu had earlier said that India would bilaterally take up the issue of recent trade protectionism measures with the US. According to an Indian Commerce Ministry release, Prabhu also met US Secretary of Agriculture Sonny Perdue and also had a joint meeting with India Caucus Co-chairs Senator Mark Robert Warner and Senator John Cornyn. During his visit, Prabhu also addressed business and industry leaders in meetings organised by the US-India Business Council (USIBC) and US-India Strategic Partnership Forum (USISPF) and met other stakeholders. "It`s a great time to join hands with each other and that is the realisation within the (US) administration as well. As you know, we always hear about trade disputes between the US and India, but when I had a meeting with the USTR, the Commerce Secretary, Agriculture Secretary, Senators, it is very clear that we must move on, keeping the issues behind," Prabhu told industry leaders at a reception hosted by USIBC. "Every great partnership has areas of agreement and disagreement. I am hopeful that the US investment corridor is only going to grow, and I`m confident that we will be able to bridge our gaps," he said at the USISPF event. In his interaction with industry leaders at an event organised by the USISPF, Prabhu spoke about the improvements that have been made in the trade relationship, including trade deficit reduction. The industry meetings included senior officials from major American companies such as Boston Scientific, FedEx, Walmart, Abbott, UTC, Honeywell, PhRMA, MoneyGram, Lockheed Martin, Koch Industries, Amway, Uber and 21st Century Fox. Earlier this week, at a press conference during the G7 Summit in Quebec, the US President accused India of levying 100 per cent tariff on some American products. Trump also threatened he would limit market access to the US and even cut off trade ties if America`s trading partners did not cooperate. 11. Raksha Mantri Inaugurates 1st BEL Representative Office In Vietnam. Raksha Mantri, Smt Nirmala Sitharaman inaugurated the first Representative Office of Navratna Defence PSU Bharat Electronics Limited (BEL) in Hanoi, Vietnam today. Smt Sitharaman handed over the symbolic key of the Representative Office of BEL at Vietnam (VIRO) to Chairman & Managing Director, BEL Shri Gowtama MV during the Vietnam-India Defence Industry Business Meeting in the presence of Ambassador of India to the Socialist Republic of Vietnam Shri P Harish, Secretary (Defence Production), Dr. Ajay Kumar and other senior officials of India and Vietnam Defence forces (VIRO is located in close proximity to the Embassy of India, Vietnam, on the 10th Floor of TNR Tower, Hanoi). 12. Former World Bank Economist Omar Al-Razzaz Sworn In As Jordan PM. Jordan’s King Abdullah on Thursday swore in a new government led by a former World Bank economist and mandated to review a disputed tax system after widespread protests against IMF-driven austerity measures. A government official said the new cabinet decided at a meeting after the swearing-in ceremony decided to withdraw a contentious personal and corporate tax bill which the previous government had sent to parliament and triggered the protests. Abdullah, a relatively secure U.S. ally in a conflict-ridden Middle East, appointed Omar al-Razzaz, a Harvard-educated economist outside the ranks of the traditional political elite, as prime minister last week.Razzaz replaces Hani Mulki, a business-friendly politician who was dismissed to defuse public anger that triggered some of the largest popular protests in years. 13. Georgia`s PM Giorgi Kvirikashvili Resigns. Giorgi Kvirikashvili, prime minister of Georgia, has announced his resignation amid a disagreement with Bidzina Ivanishvili, the leader of the ruling party. "We`ve had some disagreements with the leader of the ruling party. I think this is the moment now when the leader of the party should be given an opportunity to form a new cabinet," Kvirikashvili said in a televised statement on Wednesday. Kvirikashvili, 50, has been the country`s prime minister since 2015. The prime minister`s resignation comes amid growing popular discontent over his government`s handling of the economy and after mass protests in recent months. Under the Georgian constitution, a prime minister`s resignation leads to the resignation of the entire cabinet. The ruling party, Georgian Dream, has seven days to nominate a prime minister who will be appointed by the country`s largely figurehead president. President Giorgi Margvelashvili then has a further seven days to submit the new cabinet to parliament for approval. 14. World Blood Donors Day: 14 June. Every year, on 14 June, countries around the world celebrate World Blood Donor Day. The event serves to thank voluntary, unpaid blood donors for their life-saving gifts of blood and to raise awareness of the need for regular blood donations to ensure the quality, safety and availability of blood and blood products for patients in need. The host country for World Blood Donor Day 2018 events is Greece, through the Hellenic National Blood Centre. The global event will be held in Athens on 14 June 2018. 15. President 3-Nation Visit: Leaves For Greece. President Ram Nath Kovind will leave on a three-nation visit to Greece, Suriname and Cuba Saturday morning.He will be accompanied by a delegation that include Minister of State for Steel Vishnu Deo Sai and Members of Parliament. The first halt of the nine – day tour will be at Athens, where he will meet Greek President Prokopis Pavlopoulos and other senior members of the Government and the opposition. In Athens, the President will lay a wreath at the monument of unknown soldiers and visit other places of historical and archaeological importance. Mr Kovind will also address the Indian diaspora. President will leave for Suriname on Tuesday where he will hold discussions with President Desire Delano Bouterse followed by official level talks. A number of agreements and MoUs in the areas of health and medicine, elections, IT, Ayurveda are proposed to be signed.In the last leg of his tour, the President will reach Cuba on 21st of June. He is scheduled to hold discussions with his Cuban counterpart Miguel Diaz – Canel Bermudez.A number of MoUs and Agreements in the areas of Biotechnology, Homeopathy and traditional system of medicine and medical plants would be signed during the visit. 16. Maharashtra CM Meets World Bank CEO Kristalina Georgieva. Maharashtra chief minister Devendra Fadnavis has sought assistance from the World Bank for a Multimodal Transport Corridor as well as a Rural Livelihood Project which aims to provide sustainable livelihood enhancements in 10,000 villages in the state. Fadnavis, who is on a three-nation tour, met World Bank CEO Kristalina Georgieva in Washington DC, the US on Thursday. During the meeting with the World Bank CEO, Fadnavis sought assistance for the Mumbai Metropolitan Region Multimodal Transport Corridor and the Rural Livelihood Project, a statement from the chief minister`s office said. The World Bank CEO assured Fadnavis of positive consideration to both the projects. The statement added that the World Bank had appreciated Maharashtra’s model of consent-driven land acquisition. The CMO statement said that Fadnavis was bestowed with the Outstanding Leadership in Development Award from Georgetown University and Centre for Strategic and International Studies (CSIS) in Washington DC. The Outstanding Leadership in Development Award is a global award given annually to a remarkable leader who could be either head of state or a sub national entity, the statement said. 17. 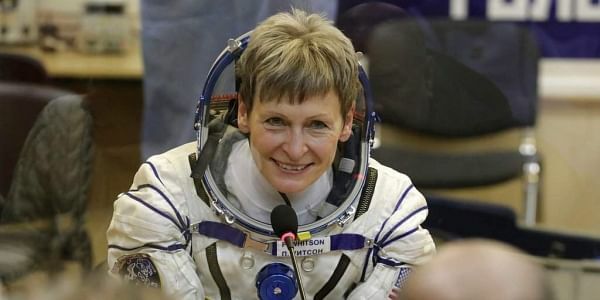 World`s Most Experienced Spacewoman Peggy Whitson Retires As Astronaut. NASA’s record-breaking astronaut, Peggy Whitson, retired Friday less than a year after returning from her last and longest spaceflight. She’s spent more time off the planet than any other American: 665 days over three space station missions. She’s also the world’s most experienced female spacewalker, with 10 under her spacesuit belt. Whitson was the first woman to command the International Space Station, holding the position twice, and the oldest woman ever to fly in space. She was also the only woman to have served as chief of NASA’s male-dominated astronaut corps. “As I reminisce on my many treasured memories, it’s safe to say my journey at NASA has been out of this world!” The 58-year-old biochemist, who grew up on an Iowa hog farm, joined NASA as a researcher in 1986 and became an astronaut in 1996. Her last spaceflight, spanning 2016 and 2017, lasted close to 10 months. Only Russian men have spent more time in space: Gennady Padalka holds the record with 879 days over five missions.NASA Administrator Jim Bridenstine called Whitson an inspiration, citing her determination and dedication to science, exploration and discovery. Before leaving the space station last September, Whitson said she would miss the orbiting outpost — an “awe-inspiring creation” — and the views from 250 miles up. “I will miss seeing the enchantingly peaceful limb of our Earth from this vantage point. Until the end of my days, my eyes will search the horizon to see that curve,” she said. 18. Nepal PM KP Sharma Oli Visits China, Signed Agreements. Nepal and China on Wednesday signed eight agreements worth US$ 2.4 billion in Beijing during the second day of official visit of Prime Minister KP Oli to China. These agreements are reached between the two governments and private sectors of Nepal and China where Chinese investors will put the money on developing hydroelectricity, water resources, cement factory and fruit cultivation and farming. In the presence of PM Oli and visiting Nepal delegation, the signing ceremony was organised at Nepali Embassy in Beijing. According to the agreements, Huwasin Cement Company will set up a cement manufacturing plant in Nepal that will produce 3,000 metric tones cement on daily basis. This will establish at the cost of NRs 14.40 billion. The factory will provide jobs to 1000 people. Another agreement is about to prepare detailed project report of Eastern Tarai of Nepal. China Communication Construction Company will prepare the DPR of three rivers of eastern Tarai namely Biring, Kamala and Kankai. Similarly Chinese investors will put US $ 46 million for setting up a fruit industry in Nepal including fruit cultivation and farming. Other deals sealed during the visit are developing 164 MW Kali Gandaki George hydroelectricity project, 40.27 MW Siuri Nyadi hydro electricity project, another 600 MW hydroelectricity project at Marsyangdi River basin and 75 MW Trishuli Galchi hydroelectricity project were signed by the private sectors of Nepal and China worth US $ 2 billion. Similarly China’s OBOR International Business Platform will purchase 200,000 to 500,000 pieces of Nepali pashmina mad by wool, from Nepal. Similarly there will be seperate MoUs and understandings between the two governments on Thursady after the delegation level talks between Oli and Chinese Premier , Li Keqiang. Meanwhile Oli who is in China visit is meeting with Chinese President Xi Jinping later this afternoon in Beijing. 19. President 3-Nation Visit: India & Cuba Sign MoUs. President Ram Nath Kovind along with First Lady Savita Kovind began their state visit to Cuba by paying homage to former Cuban prime minister Fidel Castro in Santiago de Cuba. On Friday, President Kovind was received by Cuban officials at the Jose Martí International Airport. "Honoured to begin my state visit to Cuba by paying homage to Fidel Castro in Santiago de Cuba. A great friend of India, who lent dignity & strength to the voice of developing countries in the international arena. His leadership shall continue to inspire millions #PresidentKovind" President Kovind tweeted. Later, President Kovind was scheduled to visit Mahatma Gandhi Monument and pay tribute to the Father of the Nation. He will then visit Centro De Ingenera Genetica Biotechnologya, where he will be received by Dr Adverdo Martinez, president of Cuba Pharma to attend a presentation on Cuban Pharma industry. President Kovind is then scheduled to visit Revolution Square. The Indian President will then sign the Memorandum of Understanding with his Cuban Counterpart. President Kovind is on a three-nation visit to Greece, Suriname and Cuba. Before Cuba, President Kovind who addressed a speech in Athens on June 16 discussed the issues of bilateral concerns with the concerned dignitaries of respective countries. 20. HM Rajnath Singh Lays Foundation Stone For Mongolian Refinery. Home Minister Rajnath Singh participates in ground breaking ceremony for an oil refinery being made with India`s assistance in Mongolia while visiting the Central Asian country; says the refinery will prove to be a milestone in Mongolia`s development. Union Home Minister Rajnath Singh is in Mongolia on a 3-day visit to further India`s relations with the Central Asian country and strengthen security cooperation. Mongolia is an important strategic partner for India. He attended the ground breaking ceremony of an oil refinery at Altanshiree Soum in Dor-no-gobi province with the Prime Minister of Mongolia, U Khurelsukh.This refinery project has been financed by the Government of India through a Line of Credit of One Billion USD.Speaking on the occasion, Rajnath Singh described the refinery as a milestone in Mongolia`s growth story. 21. International Widows` Day: 23 June. International Widows Day is a global awareness day that takes place annually on 23rd June. The day was launched by the United Nations in 2010 to raise awareness of the violation of human rights that widows suffer in many countries following the death of their spouses. In many countries with traditional societies, women find themselves left in poverty when their husband dies. In some countries, these women find themselves denied of inheritance and land rights, evicted from their homes, ostracised and abused. The children of widows also often find themselves affected, withdrawn from school and more vulnerable to abuse, especially in the case of girls. International Widows Day works to encourage action in achieving full rights for widows, highlighting the need for more research and statistics into violence, discrimination and poverty suffered by widows and develop policies and programmes to address the problem. The ultimate goal of the day is to develop resources and policy to empower widows and allow them to have access to education, work, healthcare and lives free of violence and abuse. Enabling them to create a life for themselves and their children following the death of their husband and ending a cycle of poverty and abuse.